Description: Great springtime recipe using fresh herbs and fresh tomatoes! Instructions: Crack the eggs into a bowl; add milk (and salt & pepper as desired). Whisk until eggs are blended well. Spray nonstick spray in nonstick frying pan. Heat pan over medium heat. Add egg mixture to the hot pan. When the edges start to solidify, use a spatula to lift the edges, tilting the pan so the egg mixture runs beneath the lifted part. Add the herbs, and continue lifting until the mixture is almost set but still a bit runny in the center. Add the asparagus, and sprinkle Parmesan on both sides. Continue to cook until the omelet has puffed up and is fully cooked. Cut in half with a metal spatula, place onto serving dishes, and sprinkle tomatoes on top. 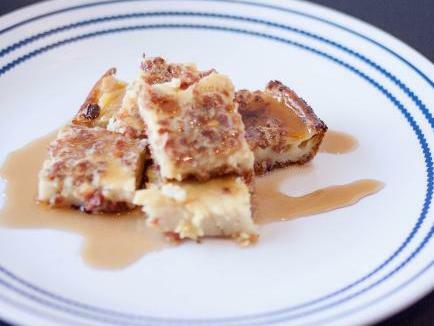 This is great for breakfast, lunch, or a light dinner! 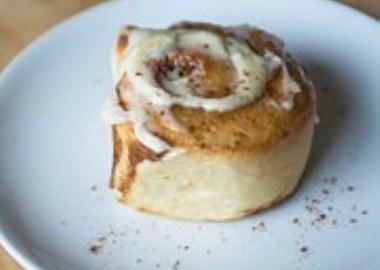 A delicious and savory breakfast passed down from a family recipe. 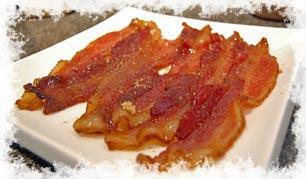 This is a sweet, spicy, crisp bacon recipe. If you've never tried a recipe for oven-cooked bacon, start with this one!